and together evolve as human kind. Vangelis Legakis is a producer, choreographer, dance artist and therapist. 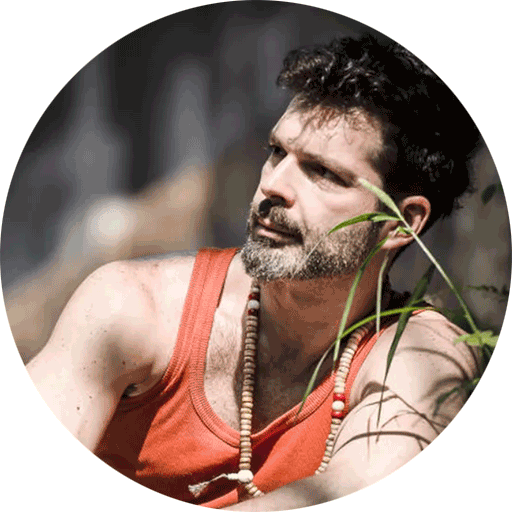 He is specialising in integrating the philosophies of yoga and chi gong within dance for self-development, relationship equilibrium and community harmony. He is dedicating his career to offer his knowledge and experience to assist in the growth and education of young artists, professionals and the public. ​Legakis graduated in 2006 from Laban Center (London, UK) with BA in Dance Theatre and in 2007 with an MA in Choreography. In 2008 he established The Van-L Dance Company in London, UK with which he has been creating numerous productions across the world. In 2010 he was awarded the Marion North Mentoring Scheme in which he researched on dance improvisation and interdisciplinary studies under the mentorship of Gill Clarke. At the same year he was a semi-finalist at the Place Prize in London, UK, as well as he received a diploma to teach, spread and develop Flying Low and Passing Through from the 50 days workshop in Costa Rica given by David Zambrano. Since 2004, he has been visiting the Forsythe Company with who he performed ‘Human Rights’ in 2006. By researching alongside the Forsythe Company he gained a profound experience in composition, movement coordination and choreography that he is teaching integrating nowadays the philosophies of yoga and chi gong. ​A pivotal point in his career was the Masters in Buddhist Studies at The University of Hong Kong where he graduated from in 2015. Alongside with his research on philosophy and neuroscience, Buddhist Studies integrated his research even more; and more specifically on the use of the mind and its interconnectedness with perception, consciousness, emotions, the body and reality. This is when he established his teaching philosophy entitled Embodied Unity; an integration of Dance, Yoga and Chi Gong. At the same year in Hong Kong, he brought into being the organisation Unity Space focusing on the support, implementation and sustainability of arts and healing projects and events across the world. Because of what Hong Kong has offered to him in terms of growth, in 2016, he initiated the festival HKICF and residency HKICAROS to support the local dance communities by collaborating with artists from abroad. May Yee has always been enthusiastic and passionate about dance ever since she was young, which explains her dedication to dance and the arts. She believes that dance and performing arts have always been the motivation and the reasons for her success in life. With long experience in dance and performance she worked for Dance Space Ballet Academy in 2008 and Damansara Performing Arts Centre (DPAC) since it’s opening in 2012.